The Kingdom of Bahrain features the oldest public education system in the GCC. This premium education system was established in 1930 when the government started operating two primary public schools. 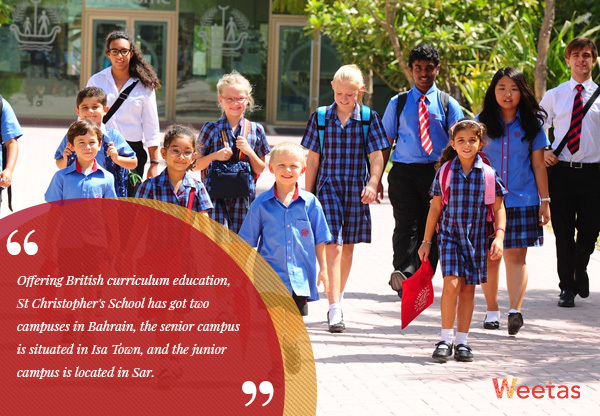 Since then, schools in Bahrain have significantly developed in both quantity and quality. Bahrain is very much interested in investing in the future. That is why education expenditure in Bahrain accounts for 2.9% of the Kingdom’s GDP. It is also noteworthy to mention that Education is obligatory for all students in Bahrain. Free education is available in public schools for both Bahraini and expat students, and it is quite good if we might add. Even though the public school system is very good in the country, most expats still prefer international schools as they make relocating or sending their kids to college abroad an easier feat. If you are currently looking to enroll your kids and searching for the best schools in Bahrain we are here to help, take a look at our list. Offering British curriculum education, St Christopher’s School has got two campuses in Bahrain, the senior campus is situated in Isa Town, and the junior campus is located in Saar. Founded in 1961, This British private school offers a world-class education. St. Christopher’s School has been listed by the Guardian newspaper among the top eight international schools offering a British curriculum in the world. It is one of the best private schools in Bahrain and the region. In 2013, Queen Elizabeth II recognized the principal of the school, Ed Goodwin, with The Most Excellent Order of the British Empire for his outstanding contribution to British education in the Middle East. Established in 1997, ARKIS was the first school in Bahrain to receive accreditation from both CIS (Council of International School) and NEASC (New England Association of Schools and Colleges). The school offers a British curriculum. It also implements UCMAS, which is a brain development program, from KG1 to Grade 8. Moreover, the school offers an excellent Arabic Second Language department (ASL) that was established to assist non-native speakers from Grade 1. The founder of the school had a vision and a goal to educate kids to be more well-rounded adults, and the school strives to achieve that, and that is what makes Abdulrahman Kanoo one of the top schools in Bahrain. 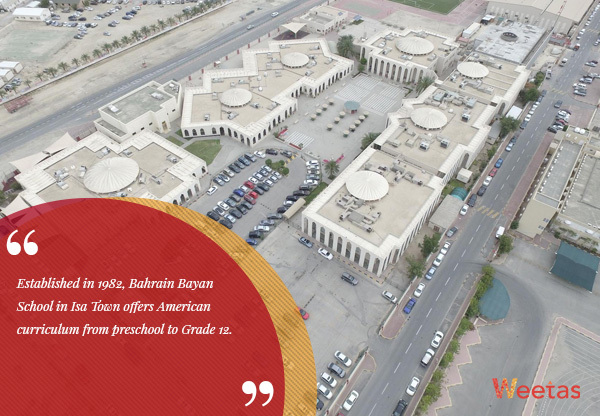 Established in 1982, Bahrain Bayan School in Isa Town offers an American curriculum from preschool to Grade 12. As the school believes that physical education is an integral part of education, it offers an extensive sports program to its students. The school invested in building many facilities for this program, such as basketball courts, squash courts, an aerobic dance studio, a gymnasium complete with weight training and fitness center, as well as a running track. This school has got a very interesting history. What is now one of the best co-ed American schools in Bahrain has started in 1899 as the first English school for girls in the country; it was called The Acorn School. After a lot of development through the years and a few relocations, Al Raja school moved to its current campus in 1994. Al Raja is a multicultural school that is dedicated to helping each and every student achieve their full potential. It offers top-notch education and is accredited by AdvancED, to teach students in grades 11 and 12 Advanced Placement courses. We probably don’t need to tell anyone how good this school is. Founded in 1886 and with numerous branches around the world, International School of Choueifat certainly knows how to teach leaders of the future. 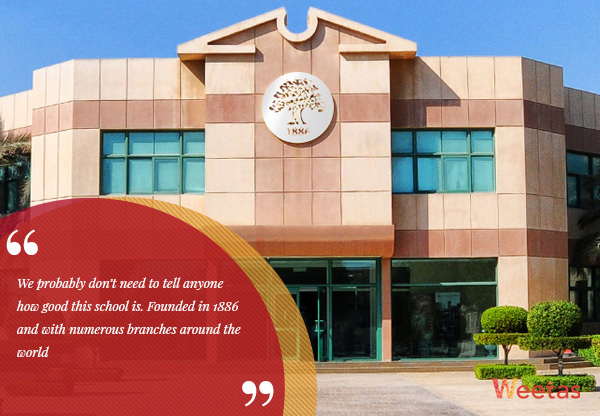 The school teaches its own curriculum in all of its branches which is designed to help students learn more in less time, with a focus on a well-rounded education that includes sports, arts, and activities. It is a member of the global SABIS Network. The International School of Choueifat was established in Manama in 2006. 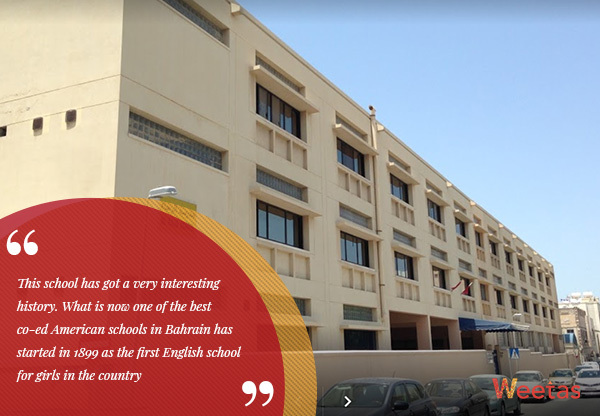 One of the top schools around the world, Choueifat is definitely one of the best schools in Bahrain. If you are looking for a French school in Bahrain then the International French School is your best choice. It offers a French curriculum from pre-kg to Grade 12. Lycée Français International de Bahreïn was established in 1976 and has integrated the Mission laïque française (MLF) in 2008. 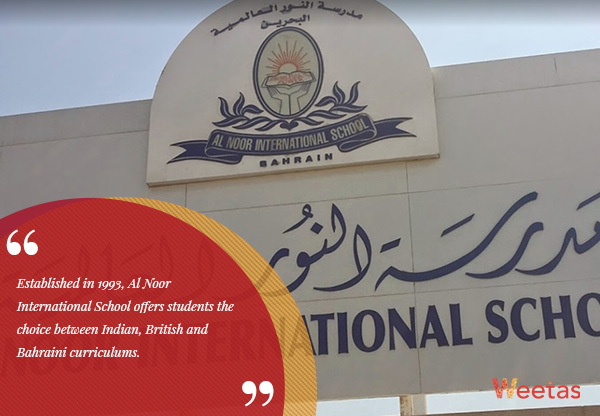 Established in 1993, Al Noor International School offers students the choice between Indian, British and Bahraini curriculums. 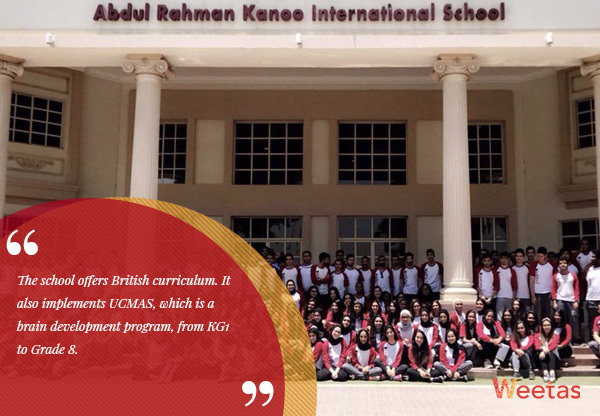 As one of the best schools in Bahrain, It offers first class education in all three curriculums. This stems from the founder’s belief that social cohesion and acceptance of different cultures creates a better society. Who can disagree with him! All the facilities in the school are top notch, the school is proud to offer smart classes and amazing playgrounds for its students. It also offers diverse activity and science programs.